Home Tags Posts tagged with "perseids"
In 2013, the Perseid meteors will streak across the short summer nights – August 10-13 – from late night until dawn, with little to no interference from the waxing crescent moon. Plus the moon will be near the planet Saturn in the evening hours, giving a colorful prelude to late-night Perseid show. Best mornings to look: August 11, 12 and 13. The Perseid meteor shower is perhaps the most beloved meteor shower of the year for the Northern Hemisphere. The shower builds gradually to a peak, often produces 50 to 100 meteors per hour in a dark sky at the peak, and, in the Northern Hemisphere, this shower comes when the weather is warm. The Perseids tend to strengthen in number as late night deepens into midnight, and typically produce the most meteors in the wee hours before dawn. They radiate from a point in the constellation Perseus the Hero, but, as with all meteor shower radiant points, you don’t need to know Perseus to watch the shower; instead, the meteors appear in all parts of the sky. They are typically fast and bright meteors. They frequently leave persistent trains. Every year, you can look for the Perseids around August 10-13. They combine with the Delta Aquarid shower to produce the year’s most dazzling display of shooting stars. 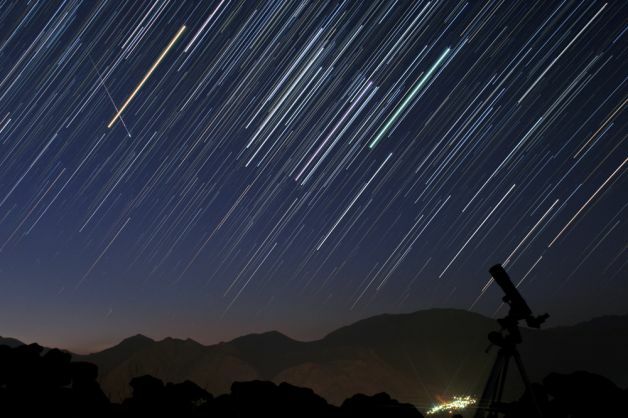 The annual Perseid meteors are expected to put on a spectacular sky show this weekend. Glare from a waning crescent moon may interfere with viewing. But the Perseids remain one of the most popular events in the astronomical calendar, with meteor rates expected to reach as many as 100 per hour. The Perseids are actually pieces of Comet Swift-Tuttle; each year in August, the Earth passes through a cloud of the comet’s debris. These tiny pieces of ice and dust (which range from the size of a grain of sand to around as big as a pea) hit the Earth’s atmosphere at some 60 km/s (134,000 mph). “December’s Geminids often outperform them by a bit, but the Perseids are probably the most-watched meteor shower, because they come in the warm vacation season,” said Alan MacRobert, a senior editor of Sky and Telescope magazine. The Perseids can be seen all over the sky, but the best viewing opportunities will be across the northern hemisphere. Their name comes from the fact that meteors in this shower radiate from the direction of the constellation Perseus. The Earth passed particularly close to Comet Swift-Tuttle in 1992, when the Perseids put on a spectacular display. The meteor shower has since returned to normal. The comet will not approach so close again until around 2125. You can enjoy an online unique experience with Perseid meteor shower NASA web chat tonight! 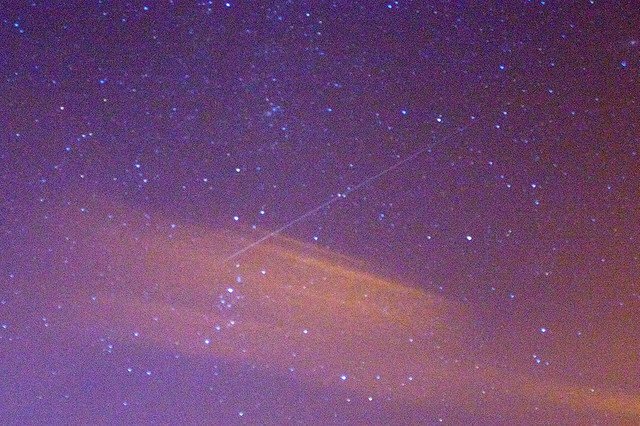 Perseids performed a splendid show in 2009. Let's enjoy Perseid meteor shower NASA web chat tonight too! “The Perseids are considered the best meteor shower of the year by many, but with the full moon washing out all but the brightest meteors, rates will probably only be 20-30 per hour at most — weather permitting. ” Says NASA. 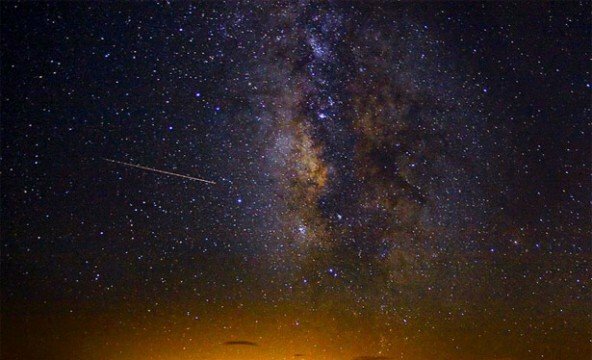 This year the Perseid meteor shower will reach a peak for overnight (Friday, August 12 into the early morning Saturday, August 13) and the space agency is broadcasting a live web chat. This wonderful sky show is more visible from the northern hemisphere because of the Perseids radiant which doesn’t go up above the horizon. [googlead tip=”vertical_mic”]Perseid meteor shower NASA web chat tonight begins at 11 p.m. EDT ( 03:00 UTC GMT) and lasts until 5 a.m. EDT Saturday. Astronomer from the Marshall Space Flight Center Bill Cooke and his colleagues, Danielle Moser and Rhiannon Blaauw, will be online. A light-activated camera at the NASA’s Marshall Space Flight Center in Huntsville, Alabama turn on each evening. On a dark background you can see at night stars or white points. Hearing the sounds (whistles, blips, pings) of passing through meteors it is possible, even before the camera activates. “The meteors themselves don’t make sounds, but they ionize the air around them as they burn up. These ionized air molecules reflect radio waves back to our antenna.” Says NASA. [googlead tip=”vertical_mic”]On the Perseid meteor shower NASA web chat tonight you can ask question about Perseid and talk to the astronomers. The Perseids is a prolific meteor shower associated with the comet Swift-Tuttle, they seem to radiate from constellation Perseus. The name derives from Perseides, sons of Perseus and Andromeda in Greek mythology. While the Earth passes through the comet’s debris, pieces of ice and dust (over one thounsand years old) burn up in the Earth’s atmosphere.